Studying in UNS means experiencing a unique life in Solo. Solo lies in the center of Javanese culture in Central Java. Living in Solo provides an access to witness historical remains and distinguished culture of the heritage city. Traditional way of life is tightly interwoven with the urban style colouring the atmosphere of living in Solo. Complete facilities of the city do not eliminate the long established local identity of Javanese tones in every beat of day-to-day activities of the city. Here are several festivals you can enjoy to experience Solo culture. Solo Batik Carnival (SBC) showcases Batik, Indonesian traditional fabric which represents national identity to wider community. SBC is held annually by the government of Solo. 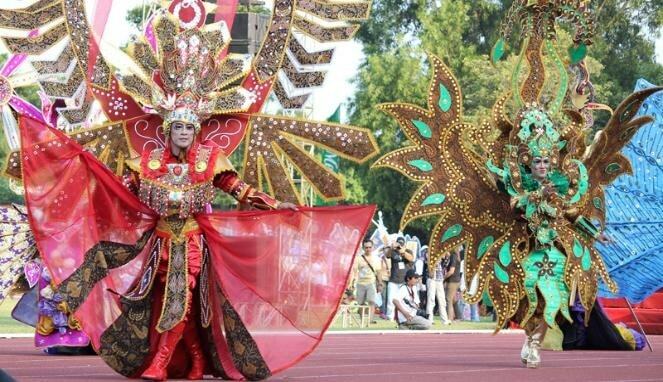 The event challenges its participants to design and create unique costumes made of Batik. The main event presents a parade of models in Batik costumes which begins at Slamet Riyadi street to City Hall. You can stand in a row along the route to see the parade and capture the moment. Kirab Malam 1 Suro is a ceremonial event carried out to celebrate Javanese calendar’s New Year. It takes place in Surakarta Royal Palace (Kraton) and Pura Mangkunegaran. 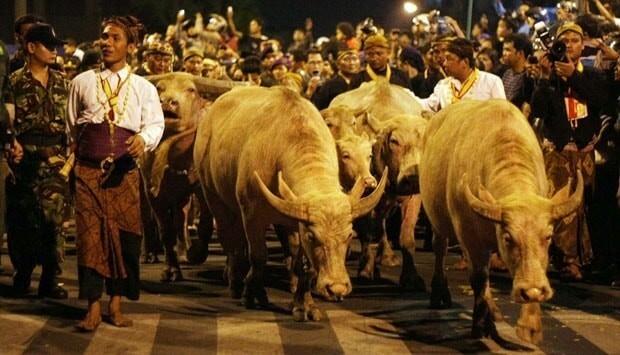 The ceremony includes sacred heirloom washing, and sacred heritage items are paraded along with sacred albino water buffalo called Kyai Slamet. You can experience the overwhelming Javanese cultural atmosphere during the event. Solo has a quite significant number of Tiong Hoa population. Therefore, Chinese New Year (Imlek) is one of the biggest celebrations in Solo. 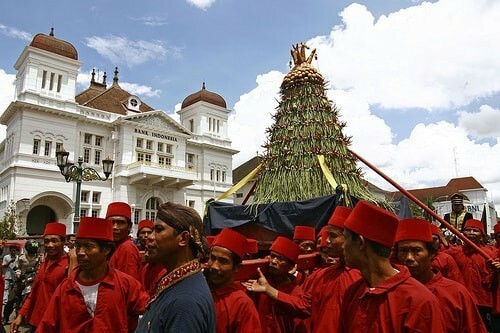 Grebeg Sudiro is annually held to celebrate it. 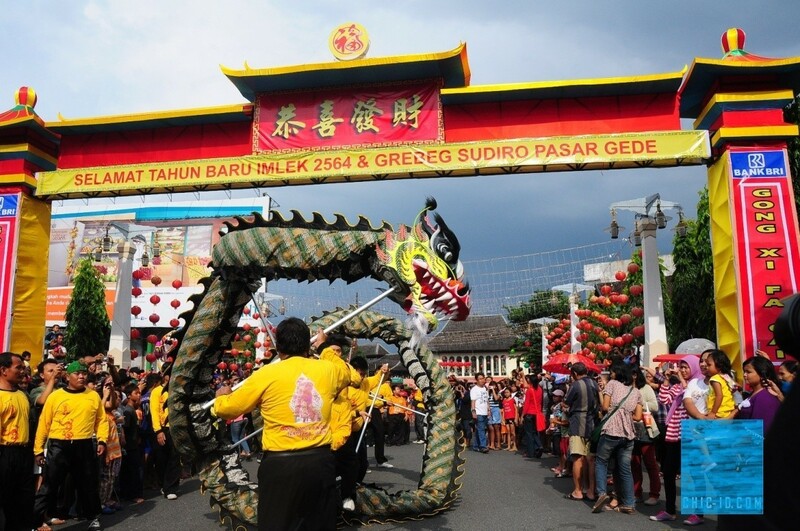 The festival takes place around Pasar Gede, also well known as Solo’s Chinatown. You can enjoy Chinese cultural performing arts every year at the festival. Jenang is traditional sticky porridge commonly consumed by Indonesians. 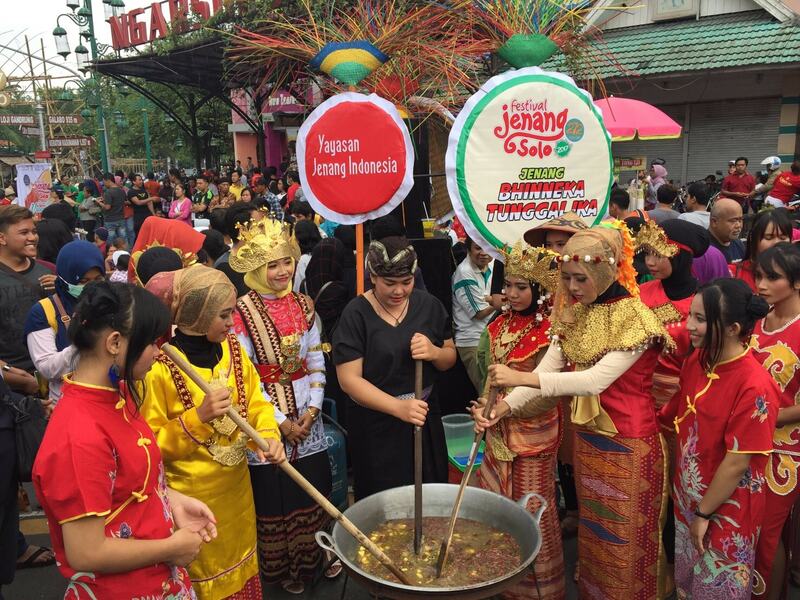 More than 17,000 portions of various kinds of Jenang are provided in Festival Jenang Solo. The annual event is held in celebration of Solo’s anniversary. You must visit Ngarsopuro to have your sense of taste experience the flavours of Jenang. Sekaten is a week-long Javanese traditional ceremony to commemorate the birthday of Prophet Muhammad. The ceremony was initiated by founder of Hamengkubuwana, Raden Mas Sujana (Hamengkubuwono I), to promote the Islamic Faith to people. The ceremony is annualy held in Yogyakarta and Solo. During the ceremony sacred Gamelan named Kyai Nogo Wilogo and Kyai Guntur Madu is played everyday, traditional songs are sung in Tumplak Wajik, and Gunungan is carried by royal guards in a parade called Grebeg Muludan. Gunungan is a kind of mountain formed from sticky rice, sweets, fruits, and vegetables. After the parade, it is picked, fought over, and ripped apart by the people already waiting in square. It is believed that the objects composing Gunungan are sacred, powerful, and bring good luck.